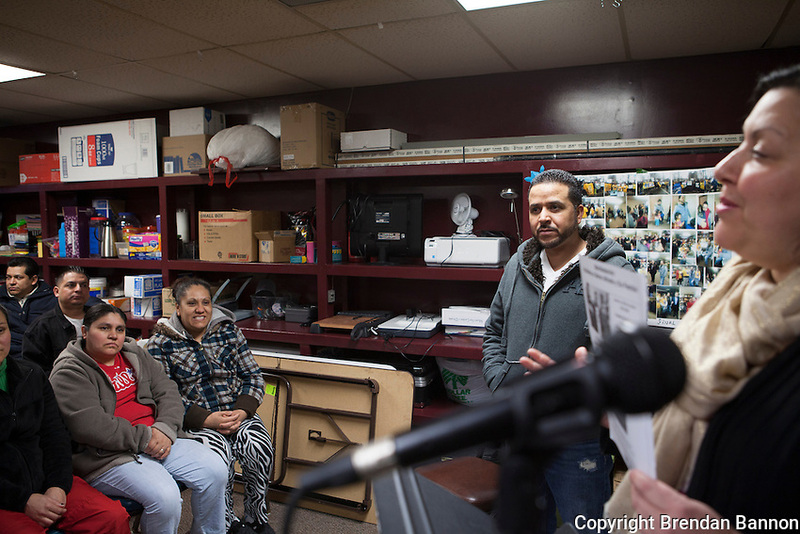 Alfredo Ramos, left and activist and HOLA director Veronica Dahlberg at a weekly HOLA meeting in Painesville, Ohio. Ramos' case drew support of three busloads of protestors who traveled to his hearing in Erie, PA on March 20, 2014. HOLA meets weekly as an advocacy and Support group for immigrants and families in Painesville, Ohio. Brendan Bannon, March 25, 2014.